The two main subjects shared within this week’s parasha - Parshat Shemini seem to be totally removed one from the other. First, we read of the tragic death of the two sons of Aaron, Nadav and Avihu, on the eighth day of the consecration of the Sanctuary, and then the details of the laws of kashrut including detailed lists of which animals, fowl and fish are forbidden. For seven days Moses had consecrated Aaron and the priests. Now, the time has arrived for Aaron to begin his service, ministering to the people on behalf of God. But what is the significance of the “eighth day,” the phrase that gives our parasha its name? The power of the number eight begins with creation, when on the 8th day it becomes humanity’s responsibility to be the guardians of the world God has entrusted to our care. Echoed in the establishment of the covenant between Abraham and God with the brit milah being on the 8th day of life, and the 8th day becoming the day for priestly consecration at the Tabernacle, each of these acts reflect some element of demonstrating to God the faith of the Children of Israel. 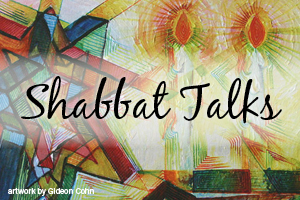 As Rabbi Sacks emphasizes, “we now understand the symbolic significance of the eighth day in relation to the Tabernacle. The Tabernacle was intended to be a miniature universe, a symbolic microcosmos, constructed by human beings. Just as God made the earth as a home for mankind, so the Israelites in the wilderness built the Tabernacle as a symbolic home for God. It was their act of creation. In every instance in Jewish history, our efforts have been to create order, light, beauty, and meaning in a world that is filled with chaos, pain, suffering. Even our own suffering serves to provide insight to others - whether through the Exodus, the exile, the Holocaust, living beyond terror, or fighting the lies of hate that are encompassing the world around us. To create innovation, to inspire passion, to encourage commitment - all of these are ideals of Israel that we inherit from our ancestors and embody the same values held by our leaders and priests dedicating the tabernacle. Yet also in every generation that are those who replicate the self-centeredness of Nadav and Avihu, who intentionally desecrated the command on how to proceed with the burning of incense in the service to God. With specific detail, the engagement between God and the Israelites is affirmed again and again. When Nadav and Avihu brought a strange and alien offering of incense into the Mishkan, drunk and improperly attired or intentioned, they entered into the very presence of God with full knowledge of their ill-mannered ways. As a result, we learn they are consumed by fire. 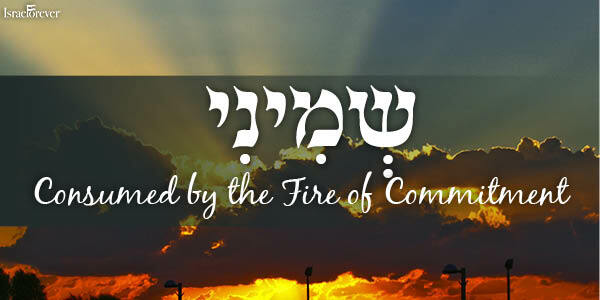 Just as the glory of God was seen atop the mountain as a “consuming fire” (Shemot 24:17), so too Nadav and Avihu are “consumed” by “fire” (Vayikra 10:2). What is the connection with the laws of kashrut that follow in this very chapter? Is there a connection between the two? There are many times a child - or a grown adult for that matter - may ask, “what will happen to me if I sin? If I don’t keep Shabbat, if I eat unkosher, will I be stricken down by lightning? Will I be consumed by fire?” It is taught that once a person knows of the laws, they become obligated to follow it. Although they may have never kept that commandment beforehand, it doesn’t matter “as much” because they simply didn’t know. But by knowing, we become obligated, we become owners of the knowledge. Perhaps the two seemingly disconnected elements of this parasha have a deeper connection - in that they emphasize the value of knowledge and our responsibility on what we do with that knowledge? Perhaps, with the many rules of what it means to be a “practicing Jew,” it is the awareness and the ownership of information that matters most? In today’s world, we cannot afford to judge one another by the specifics of our Jewish practice. 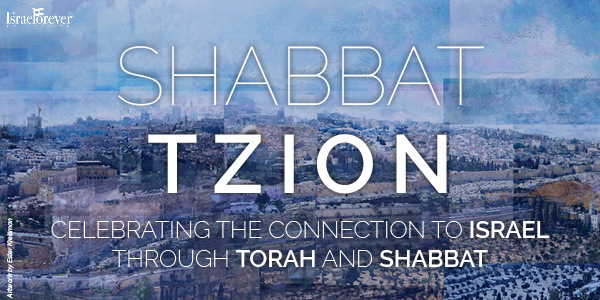 Some keep Shabbat to the letter of the law, and some in what we could call “halachic moderation,” yet wholly immersed in the beauty and spirit of the holy day. Some keep strictly kosher, some with flexible boundaries, and some just kosher-style. But no, we cannot afford to allow ourselves to be consumed by the fires of division and dilemmas. We cannot become the heirs of Nadav and Avihu. 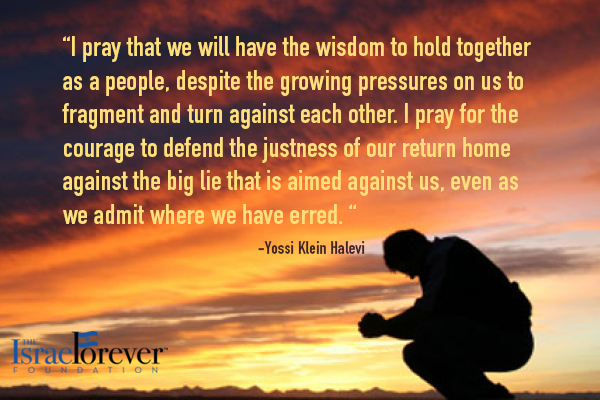 Instead, we must become witnesses to those who witnessed their demise: to commit ourselves to a united cause of continued consecration of our role in creation - to appreciate this amazing world that Hashem has bestowed upon us, to be appreciative of his many gifts, blessings and challenges along the way, and to live up to our obligations as Jews and as fellow human beings committed to the ideals of those whose legacy and traditions we carry on these 3000 years later. We must be the ones to stand up for truth - truth about Jews, Jewish history, Jewish identity, Jewish pride, Jewish peoplehood and JEWISH RIGHTS. Truth about Israel, in each generation from the Exodus to today. Truth about ourselves, about each other, and the truth about the dangers that are exposing themselves every day while we continue to fight between us rather than band together under a single message that we will NOT allow ourselves to, once again, become the target of humanity’s capacity for evil - even if that evil exists among our own people. Those who spread the lies of hate, those who are blinded by the propaganda, are no better just because they are Jews. 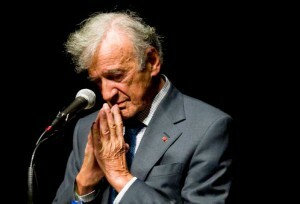 The term “Holocaust” means “wholly consumed by fire.” Infused with significance by Elie Wiesel and others who believed this term was most fitting to describe the catastrophe that befell the Jewish people - a catastrophe where homes, bodies and spirits were consumed by the fires of the killing fields, the crematorium and the burning pits. Consumed by the fires of hate. As a learned man of Torah, whose very being was infused with the power of the lessons of the past, it is surely no coincidence that Elie Wiesel felt so connected to fire as symbolic of suffering, fear, even punishment as Nadav and Avihu demonstrate. 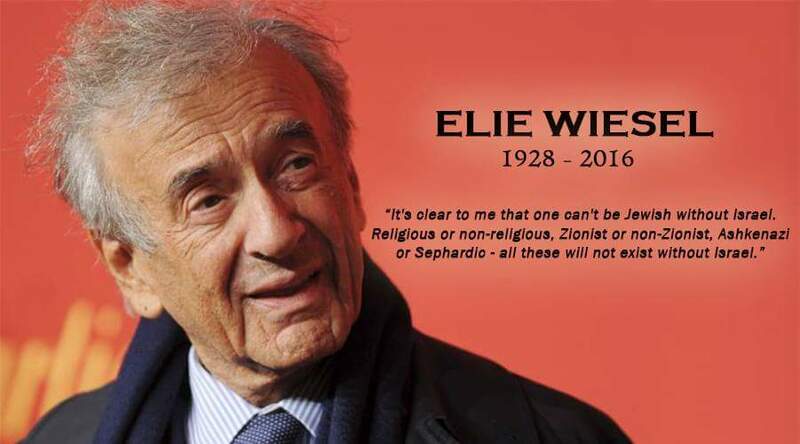 It is therefore fitting that much of Elie’s legacy is about a commitment to knowledge, to memory, to action - take ownership of what we know, be responsible for it, and protect truth, fact and determination as the lofty ideals of our ancestors and our whole Jewish people today. What would be the modern equivalent of offering an “unknown element” as Nadav and Avihu did with the incense? Would you consider the behavior of Jews who are active in the antisemitic anti-Israel movements to be committing a similar sin? As punishments today are not issued in such obvious ways as in response to the sin of these brothers, how can we interpret “consumed by fire” in terms of modern reality? Is there a fitting replica of this concept for current dilemmas we face as a people? 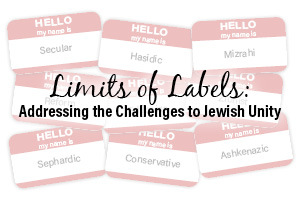 After learning about the different laws of kashrut, how can you accept their importance even if you choose not to follow them completely? How can we promote unity as a nation in spite of the different observance levels that each one of us keep? Children are more accepting of one another in spite of their differences. How can adults learn how to better accept each other and set aside their religious or ideological divisions? 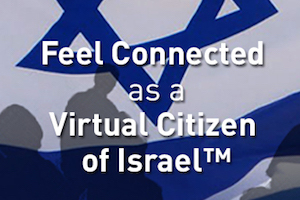 How can more people be involved in spreading truth about Israel, Jews and Judaism amidst the chaos of daily life and the rising hate in the world?